Have you ever bought about precleansing- aka cleansing before your actual facial cleansing routine? 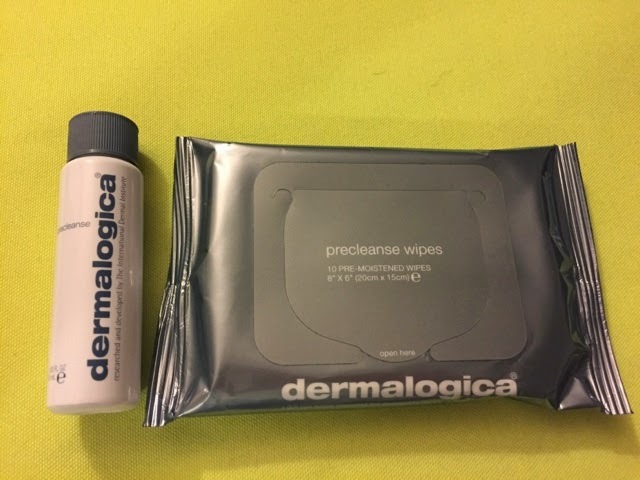 The Dermalogica PreCleanse set includes the precleansing oil and wipes that help break down the excess oil prior to the actual cleanse. This is perfect for oily skinned folks! It also helps break down sunscreen, waterproof makeup and other product build-up. As spring and summer is coming soon, this is great to get rid of the outer layer of gunk so your regular facial wash can work better on your skin.